Kolkata Knight Riders (KKR) was the most selective in forming team at the players’ auction of the 11th season of Indian Premier League (IPL 2018). They retained West Indies duo West Andre Russel and Sunil Narine before the auction and leaving their skipper Gautam Gambhir to go into auction. 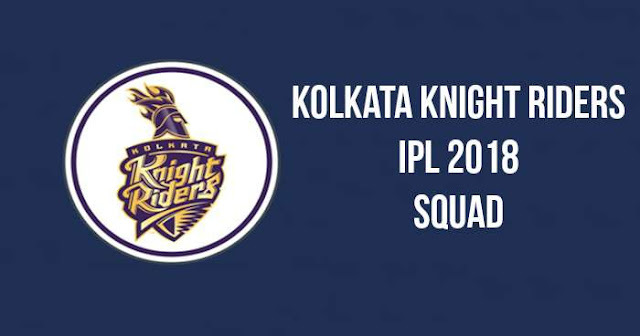 In the IPL 2018 Auction, Kolkata Knight Riders bought only 17 players, which lead the total strength squad to 19 after adding the retained players Sunil Narine and Andre Russel. KKR doesn’t retain their skipper Gautam Gambhir at IPL 2018 auction; who was bought by Delhi Daredevils at Rs 2.80 crores. Australian all-rounder Chris Lynn was the most expensive player for Kolkata Knight Riders at IPL 2018 auction bought at Rs 9.60 crores. Australian fast bowler Mitchell Starc was also bought at the whopping price of Rs 9.40 crores. Indian wicket-keeper Dinesh Karthik was the most expensive Indian player for KKR bought at Rs 7.40 crores.